Ashish Rishi discusses the benefits of synchronous online learning for pharma, providing some tips on how to ensure the ROI on training is measurable. In our increasingly global marketplace, ongoing training is critically important. Companies that succeed will be the ones that make the most effective use of available resources, and the best way to do this is to have well-educated employees, stakeholders, partners, suppliers, and customers. Pharma must train these audiences continually – including the rapidly growing numbers of remote workers – to ensure that they have the most current knowledge, skills, and information. Why is continuing education so important? 1. Retiring baby boomers are taking their skills and education with them out the door. Transferring institutional knowledge between generations is a critical requirement. 2. Relevant knowledge is changing at a much faster rate. Key specialists need to be retrained as often as every 1-2 years. 3. 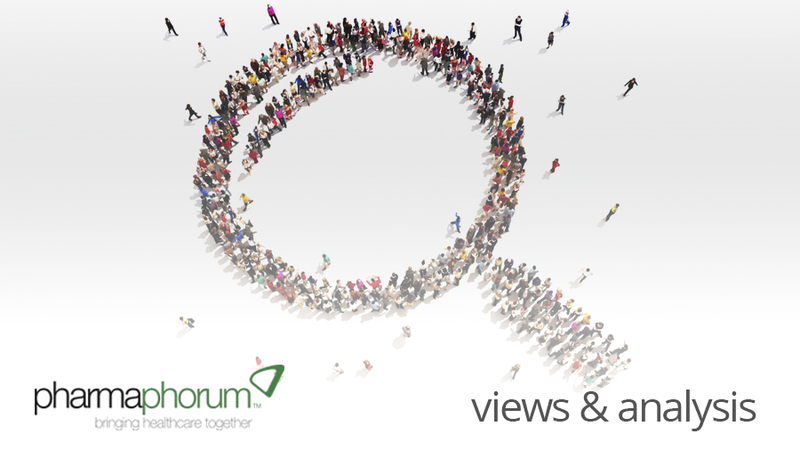 Pharma need people who are cross-trained in more than one job and are able to perform a much wider variety of tasks. So what does this all mean, it is just stats after all. What we can digest from all this is that the way we work has changed, we are now moving from being an individual, to being a part of a network, we are moving from the physical world to the digital world, we are no longer local, we are global. Therefore it is also time to match the way we learn to the way we work. In todays pharma L&amp,D, there are many choices being utilised to train and motivate their workforces, such as gamification, self-paced reading, micro-learning, mobile learning, web based training, social learning, live virtual training, simulation and experiential, to name but a few. Before considering the style of training, we need to ask ourselves the following questions, why do we learn? How do we learn? Where do we go to learn? The answer unfortunately is vague, it depends! So, one size does not fit all. This leads me onto the role of L&amp,D in pharma, it has often been the case of L&amp,D being driven by the needs (often screams!) of the brand team. Pharma L&amp,D need to see themselves as architects rather than reactors, the first step of the architect is to consider the needs of the workforce. Pharma L&amp,D can match the way their workforce learns to the way they work by shifting the learning programme from the physical classroom to a blended mix. Change the delivery of training from a scheduled event to a continuous process, move the location from the physical world to the digital world, shift the focus of training from the satisfaction of the learner to the application of learning and business impact, the learner community can no longer be exclusive, it needs to inclusive, the style of training needs to learner centric and integrated. We all have our own motivations, sometimes we learn because we have too, sometimes we learn because we want too. Either way, any L&amp,D program needs to understand the motivations of their workforce and ensure that learning is transformational, not just informational. • Discussions (facilitated and non-facilitated). One solution that addresses this is Blended Online Synchronous Learning. Blended Online Synchronous Learning is delivered remotely through a computer (or tablet / smartphone). Delegates access an online training space dedicated to their course and follow a live instructor led training session. Each session is interactive, allowing delegates to engage with not only the instructor but also the other delegates, through whiteboards, breakout spaces and chat facilities. As Blended Online Synchronous Learning is accessible anywhere with an internet connection, it allows people from across the globe to learn together. Why is it called Blended Online Synchronous Learning? 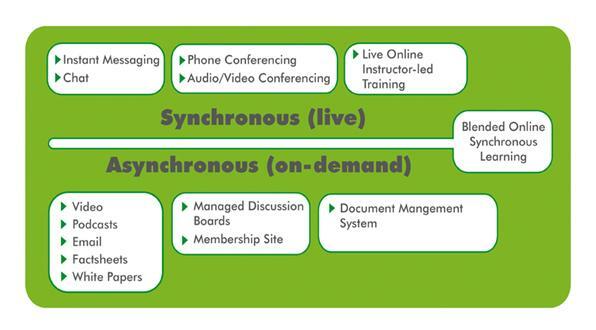 • Synchronous learning allows delegates to attend live training via their computer (or tablet / smartphone). • The live classes are led by facilitators. • The technology allows the delegates to engage in discussions and breakout exercises, just like a face-to-face course. • Synchronous learning is time and cost efficient. • Synchronous learning is a great way to train people with instant impact on the workplace. • High-Quality Video, Integrated Audio, and Telephony and VoIP Conferencing. The added benefit for organisations is it fits easily into your existing training environment, with open application programming interfaces (APIs) to integrate with leading Learning Management System (LMS) solutions and support for Shareable Content Object Reference Model (SCORM) standards. The blending of old and new training methods, and more technically blending a sequence of both synchronous (live) and asynchronous (on-demand) learning, is setting new benchmarks in Pharma L&amp,D. Ashish Rishi, B.Sc., M.Sc. is Owner, Director of Cetas Kinetic, a healthcare training consultancy providing leadership, coaching and advisory consultancy to pharma, HCPs and medcomms agencies. Ashish combines his passion for technology and training with more 10 years of pharma expertise to help set new benchmarks for pharma. Follow @MrCetasKinetic on Twitter for irreverence, knowledge and experience. How can training be improved within the pharma industry?